Because Sydney doesn’t have enough amazing markets, every Sunday between 8am and 2pm, your favourite gourmet food complex, the Tramsheds in Harold Park, will be hosting Growers Markets filled with stalls of locally grown produce, homemade goodies and live local music. Regular stalls by Annandale Honey, Jodie McGregor Florals, Mirrool Creek, Galston’s Game Farm, Perfect Circle Whole Foods and Gelato Messina will make everyone’s little inner foodie dreams come true. With workshops and classes as well, it’s a soul-satisfying Sunday out. Proper representation in cinema is important, and the Sydney Film Festival this year is paving the way for accuracy and validation. With 11 films about women’s love for other women, such as the closing night film Hearts Beat Loud and other LGBT positive films like Hard Paint, which won the Teddy Award for best LGBT feature film at the Berlinale, there’s never been more reason to attend to the Sydney Film Festival this year. The film festival ends this weekend, on Sunday, June 17. For more information, head to the Sydney Film Festival website. In case you haven’t been to Vivid yet, or if you want to see it from a different angle, then never fear because we have your night sorted. 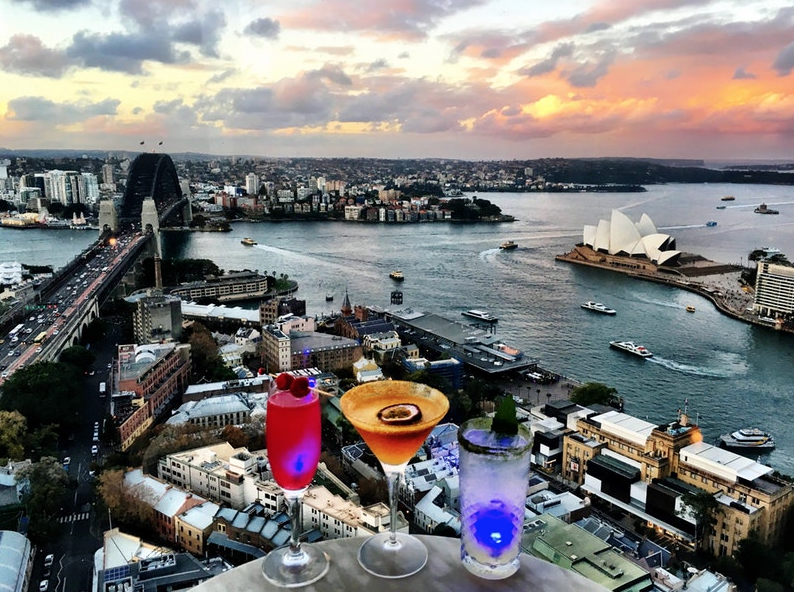 Have a sip on colourful cocktail creations named Viva La Vivid, Shining Sapphire and the Glowing Vision on Level 36 of the Shangri-La Hotel at the Blu Bar to get the night started before a big walk around all the Vivid exhibits. An introspective exhibition of a series of recent memento mori and plein air travelogues, Matt Chun uses watercolours, pencil and mixed media to represent the world around him. The exhibit is open every day until 5pm, and is running until June 22 at Mayspace in Waterloo.